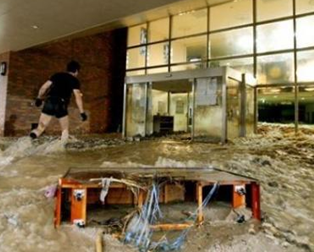 One can tell a lot about a person in terms of what they say after they hear about a crises. When rapper 50 Cent responded to the Japanese earthquake and tsunami with sick humor, it speaks volumes as to who he is as a human being- a not a very sympatric or kind one in my view. Freud once said “there is no humor only truth.” I agree with that as there is truth in humor. 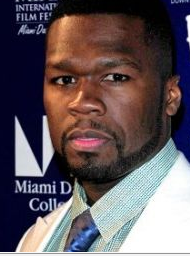 But there was no truth in the humor that rapper 50 Cent put forth in a tweet. worldly possessions and most important their lives as a result of not one but multiple natural disasters- tsunami, earthquake and major aftershocks. 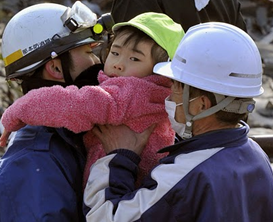 The nuclear plant explosions and the radiation leakage are no laughing matter and can cause devastation for generations to come with illnesses and severe birth defects. To me this has sexist and racist undertones and is despicable! There is nothing to Lol (laugh out loud) about. Instead there is a lot to Col about- CRY OUT LOUD! There is nothing funny about people being washed to sea and seeing innocent men women and children dying or become orphaned as the result of this natural disaster killing their parents . There is nothing funny about not having a place to live or not having enough to eat. But obviously ignorant 50 Cent failed to see the gravity of the situation before he let his fingers do the talking. What he said was unforgivable. It was disgusting and arrogant and nauseatingly sexist as he spoke of evacuating his whores out of LA Hawaii and Japan. Referring to women as whores is sexist and degrading to women! No Mr. Cent. You are not COOL either way. instead , I believe you are TOXIC either way! You have lost a lot of fans and a lot of respect. You acted as a petulant immature child in making fun of one of the most tragic events in the world for SHOCK VALUE- so people would notice and pay attention to your pitiful self. If you want SHOCK VALUE how about going over to Japan on one of your private jets and seeing how these people are suffering beyond belief? 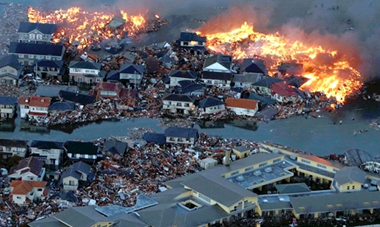 No disaster film could come close to this horrific reality. You lame ‘sorry” will never cut it. 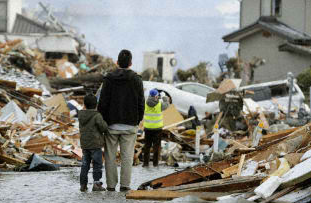 If you want to show yourself as a real man and as a compassionate human being put your “sorry” into action and give up some of your millions to help these poor earthquake and tsunami victims rebuild their lives. Get some food and stock up your private jet with it and parachute it down to stranded hungry people. Your fellow recording artist Lady Gaga (with the emphasis being on the word “lady”) clearly showed compassion and class by encouraging her fans to donate money for the the victims. 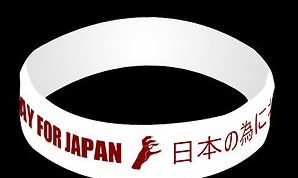 She even designed a prayer bracelet to raise money for the Japanese victims. Why don’t you follow suit and do the same. Only then will your lame “sorry” have any value. And yes, Mr. Cent you had it partially right in your last tweet when you said your tweets are ignorant .It is YOU who are ignorant, not your tweets, so man up and do something in your power financially as well as doing a concert to help someone other than your superficial self. It came as no surprise to me after it was discovered that the whole balloon incident was a hoax, that the Sheriff asked Mayumi if she wanted to stay in a safe house. Unsurprisingly she declined. Why? Because she is reacting like a typical abused woman who is in denial and who doesn’t want to upset the situation. Before I learned about the extent of Mayumi’s abuse, I clearly saw it on television. She had to ask for permission to leave in order to tend to her vomiting child. That was a HUGE red flag for me. Most mothers would react with extreme urgency when their child was ill. It’s a mother’s instincts. But it is not an abused mothers instincts. Oven times, they sit back and do nothing out of fear. Because that behavior of Mayumi’s was so disturbing I wanted to learn more about her so I watched the episode of Wife Swap where she became very verbally abusive to her “swapped” husband, Mr. Silver. Oftentimes when a person is abused they will mimic the behavior of their abuser. It doesn’t always happen but it did play out in Mayumi’s situation. In a sense, it is similar to the Stockholm Syndrome where you identify with your captor, but it’s really not the Stockholm Syndrome per se. The captor she is identifying with is her own captor who verbally abuses her- Richard. So she transferred his behavioral model on to the situation with Mr. Silver. Mayumi also mirrors the words of her husband, which she revealed on Wife Swap,” that they are descendents from aliens”. I am sure that she didn’t believe this before she met Richard. When I saw the video of Richard screaming at her at the top of his lungs when she wasn’t holding the tether to his balloon properly, I got sick to my stomach from he sample I heard. If this is what little Falcon hears day and night, no wonder he gets sick to his little stomach as well. No wonder he vomits a lot. When talking to Diane Sawyer Richard said Falcon vomits a lot because he has asthma. No. I think Falcon vomits a lot because his father is always angry and yelling violently at his mother. I also happened to watch Richard’s first Wife Swap show where he said in essence he was glad he was married to a Japanese woman who didn’t run her mouth like the swapped wife did. His verbally abusive behavior was also nauseating to me, but not as nauseating as his physically abusive behavior on the second show where he threw food and threw milk over Mrs. Sheri Silver’s head. I was shocked. I could only imagine what he was doing to his real wife Mayumi. And then I found out. I read on the internet where the deputy Sheriff of Larimer County came to the Heene home after Mayumi apparently called 9ll. When the deputy got there he saw there was blood in Mayumi’ s eye, a red mark on her cheek and her eye was swelling. She made some lame excuse that her contact was giving her trouble. In fact the deputy remarked that she wouldn’t even look up so he could see her eye. She was clearly protecting her abuser. Who knows what else Richard has done to Mayumi over the years! He definitely expects her to do all the domestic chores and doesn’t pitch in to help as was revealed on Wife Swap. According to a former business associate of Richard’s with whom he had a falling out due to his temper issues, Barabara Slusser also became friends with Mayumi. She told ABC News that “whatever Richard says goes and that she is basically his slave” . How incredibly sad for Mayumi. But how did Mayumi get into this situation with Richard that she has been in since she married him a dozen years ago? Why did she pick a Richard type- an abuser? There are many reasons why women will marry and or stay with an abuser, One of the many reasons has to do with imprinting. What we experience while growing up can often stick in our psyches. So we may subconsciously be attracted to those personality types that we find familiar. So apparently, if what Slusser says is true, than it may make sense why she agreed to go with Richard. She may have also wanted to stay in the US to get away from her abusive father for good and become a citizen get a green card so that may be another motivation for her sticking with Richard. Freud once said, what we don’t resolve, we repeat”. I think this may be the case working here. Perhaps Mayumi didn’t resolve her issues with her allegedly abusive father and repeated them with Richard. Having said all of this in terms of Mayumi being a victim of domestic violence and in essence going along for the ride, I don’t really see her as a co- conspirator but rather as a tragic victim. The consequences of her sticking up for herself or telling Richard that she didn’t want to participate in the hoax may have resulted in more verbal and perhaps more severe physical violence, soi she did what he said. I think that information about her being an abused wife should come into play in terms of whether she is charged ort not. I think it would be such a shame for her to be put in prison and taken away from those boys. She is probably what allows them to be sane and civilized. You could clearly see her tenderness and love towards her older boy as he rubbed him and hugged him. I thought that was a rather cold and disgusting statement. Mr. Lane, You may not be their counselor or a priest but you can certainly have some compassion to suggest that they see a counselor or a priest so Mayumi won’t eventually end up like millions of abused women around the world one day- dead at the hands of her abusive husband Richard . PS. Comedianne Sundra Coonquist who knew Mayumi speaks on radaronline.com She too is frightened for Mayumi as she confrims exactly what I am saying regarding Mayumi being in danger. If the sheriff offered her to go to a safehouse they must have seen that something was not right. I strongly believe that Richard can do something drastic to Mayumi and to the children if he thinks he will be going away to prison. Rest assured that when he is in prison, no one will be waiting on him hand and foot like Mayumi does. I pray he doesn’t harm her or the kids. He needs to be watched like a hawk. Thahnk goddness the media is camped out there to keep an eye on things.